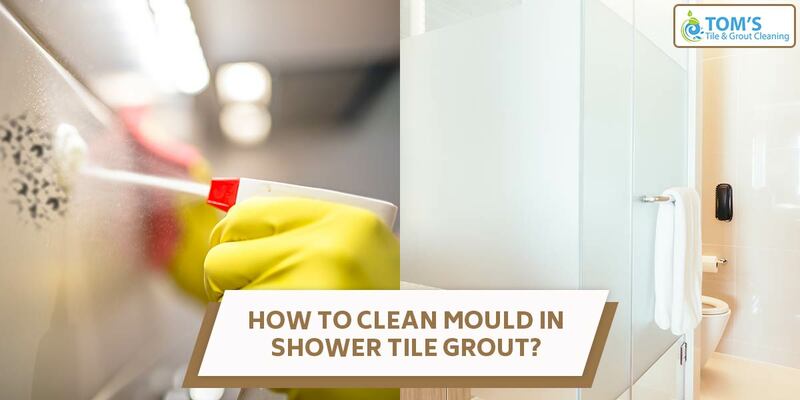 How to Remove Mould in Shower Tile and Grout naturally is one of the most asked for the question to us, since your bathrooms get dirty often with regular use. In this article, Tom’s Tile and Grout Cleaning professionals are going to share with you how you can clean your bathroom and toilet’s tile and grout naturally with ordinary household items. Most of the homeowners face the issue of having mould on the tiles of their bathroom tiles because of obvious reasons. Not only do your tiles look dirty because of this, but it also poses health risks due to the growth of mould on your glossy floors and tiles. Firstly, mix a part of vinegar with water which creates a dilute solution. Now add this solution in a spray bottle, which makes it easier for you to use. Spray the same solution on the flooring of your showers and let it be there for a few minutes. For the next step, you have to brush off the grout from the flooring. For this purpose, use a sponge or a brush. If the stains are hard to remove, apply some pressure to get rid of them. This would be enough to clean your tiles and acts a homemade mould grout cleaner. You can try this method for a few more days to make the tiles even cleaner and prevent the growth of mould in your showers. First of all, mix baking soda well with water and make a paste. Now, use a sponge or a toothbrush to dip in the paste and use it to clean the mould of your bathroom. Apply it in circular motions and apply enough pressure to get rid of the mould. If you feel it is getting drier, you can apply some vinegar solution over it which would cause the foam to create. Now, use the same foam to scrub the flooring harder and get rid of any of the stains on the floor. It would definitely help you in cleaning the moulds and brighten up your bathroom tiles. To know more on Tile and Grout Cleaning call Tom’s Tile and Grout Cleaning Melbourne on 1300 068 194 and get same day, onsite services from anywhere across Melbourne.